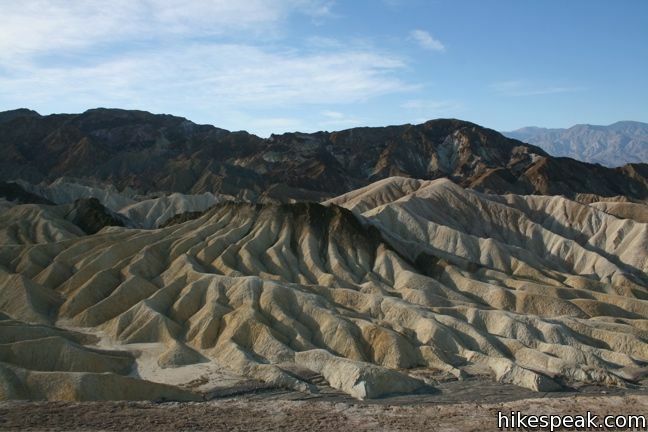 Zabriskie Point offers a stunning panorama of the badlands near Furnace Creek in Death Valley National Park. 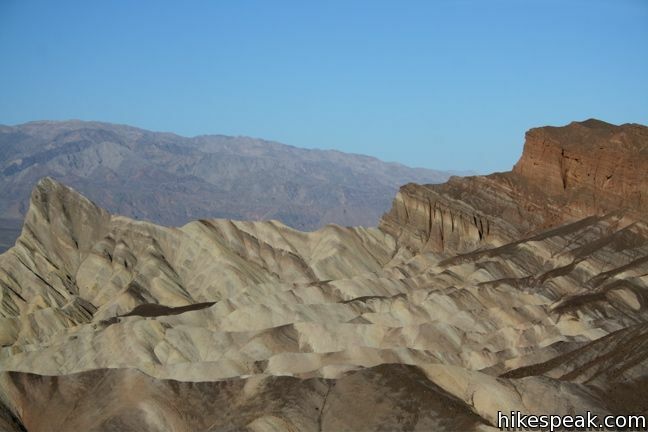 The overlook stands at the upper east end of a badlands terrain full of impressive canyons and gulches. A short walk up a paved hill is all that is required to take advantage of this amazing vantage point. 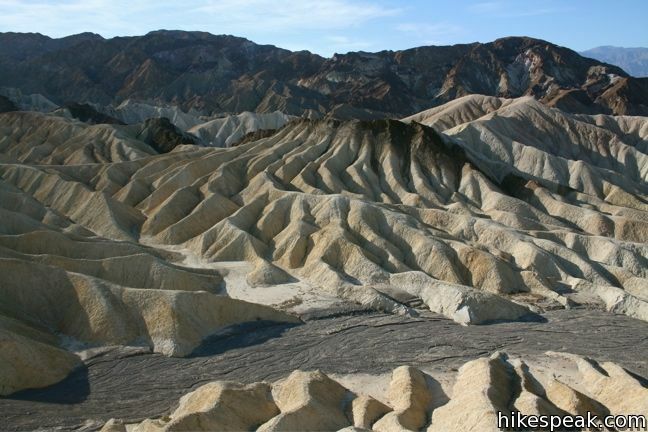 The hard drought-plagued sun-baked slopes around Zabriskie Point support almost no vegetation and possess a start beauty. The rare rain that comes to Death Valley arrives in the form of downpours, which form the rills and gullies that reshape the landscape. 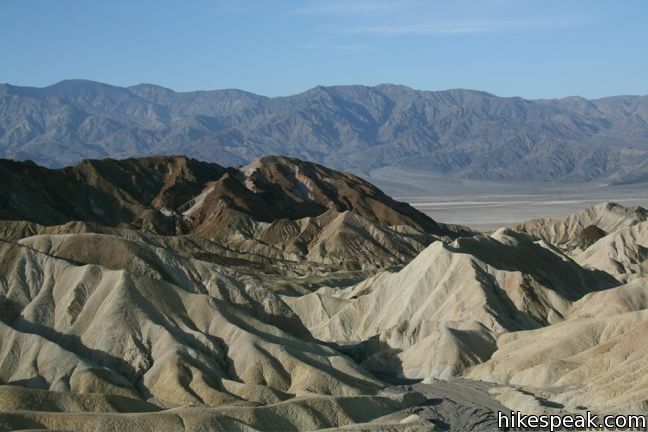 The views from Zabriskie Point are impressive in every direction. To the northeast, Manly Beacon rises up behind waves of yellow and orange colored badlands. To the right of the beacon are the distinct cliffs of Red Cathedral (best seen from Golden Canyon). To the south stand dark multicolored mountains that tower behind the Artist’s Palette. 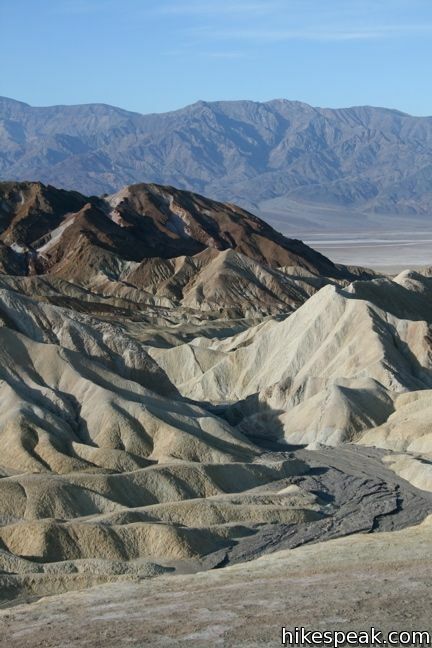 Beneath Zabriskie Point are the upper reaches of Gower Gulch, which brings rainwater and eroded minerals to the salt flats below. 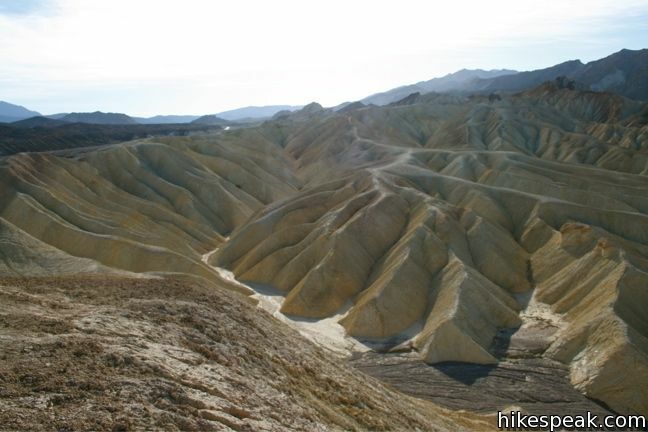 Zabriskie Point is just a short drive From Furnace Creek and an easy stop en route to Dante’s View. This should be considered a must-stop on any first trip to Death Valley. The best time to visit is the early morning when the light is best. 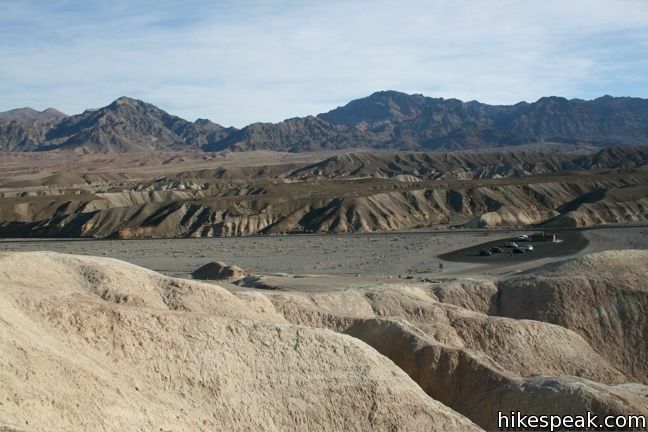 Those who look out from the point and feel compelled to explore farther may enjoy the Badlands Loop. 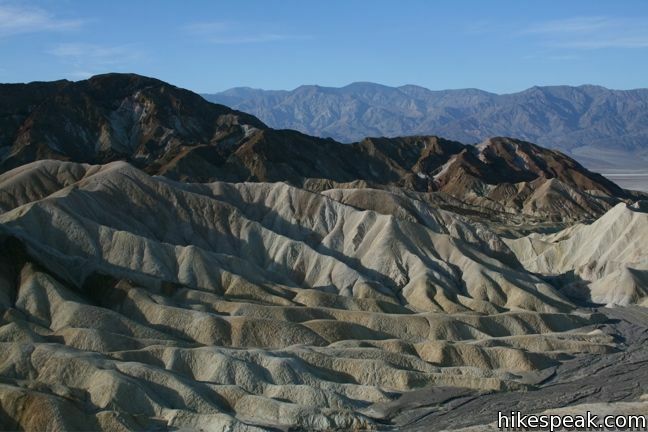 This 2.5-mile hike starts and finishes at Zabriskie Point. 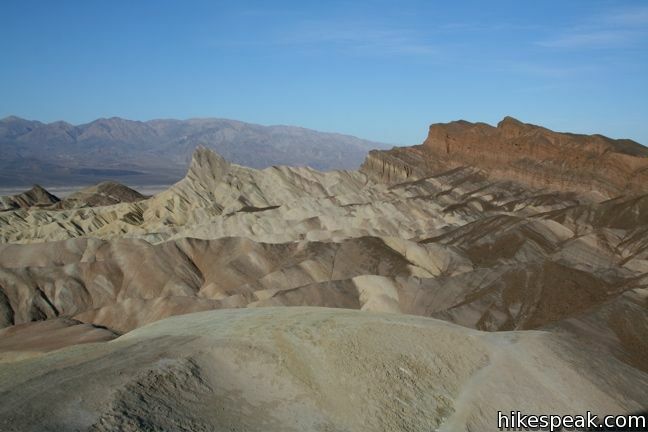 To get to Zabriskie Point: From Furnace Creek, drive southeast on Highway 109 for 4 miles. 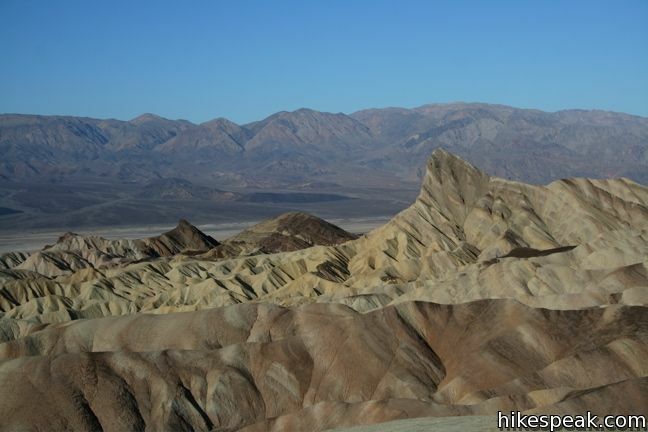 Turn right into the parking lot for Zabriskie Point. These photos were taken in November of 2009. Click to enlarge. 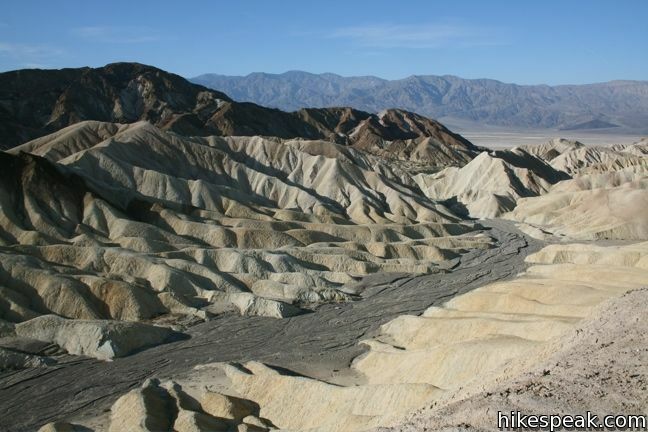 This 2.5-mile loop offers a great immersion into the terrain beneath Zabriskie Point. 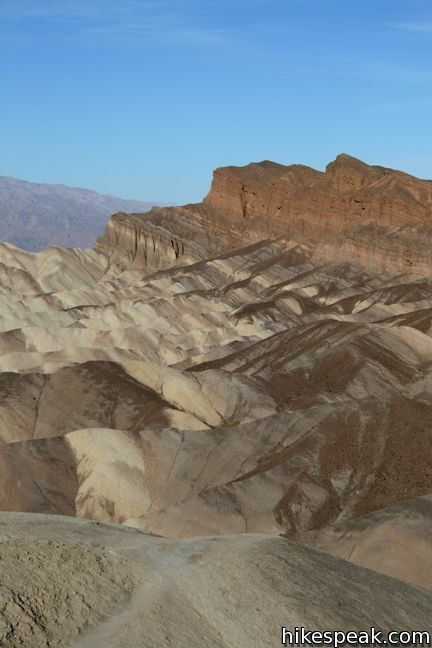 This 2.8-mile one way road is just up the road from Zabriskie Point. The fine canyon that can be experienced right from the driver’s seat.